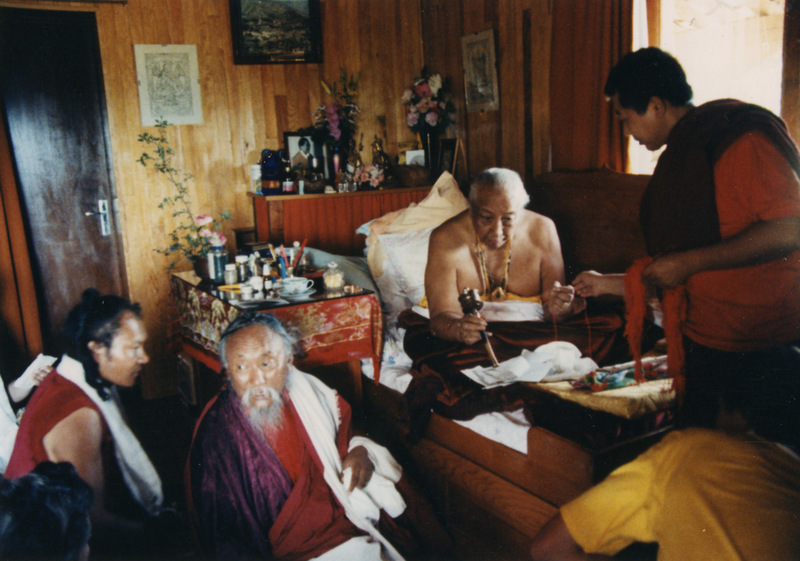 Almost twenty years to the day that Chagdud Rinpoche, Lama Sonam, and a group of students met and received teachings from Dilgo Khyentse Rinpoche, and a hundred years after Khyentse’s birth, his young incarnation returned to America, giving teachings, blessings and empowerments to old and new friends. After visits to New York City and Vermont, Khyentse Yangsi Rinpoche came to Boulder, Colorado, and Phuntsok Choling, the nearby retreat center of Mangala Shri Bhuti. At the Boulder Theater, Mattieu Ricard introduced a film on Dilgo Khyentse, “Brilliant Moon”, in the afternoon, and in the evening, Khyentse Yangsi Rinpoche gave the Pema Tse Nyingtik Longevity Empowerment. Click on on the picture below for a slide show. On the weekend at Phuntsok Choling, in the mountains above Boulder, Rinpoche gave the empowerment for the Rangjung Peme Nyingtik (which includes Essence of Siddhi) on Saturday, and on Sunday lead everyone in doing the practice and offering tsok. Click on the picture below for a slide show. 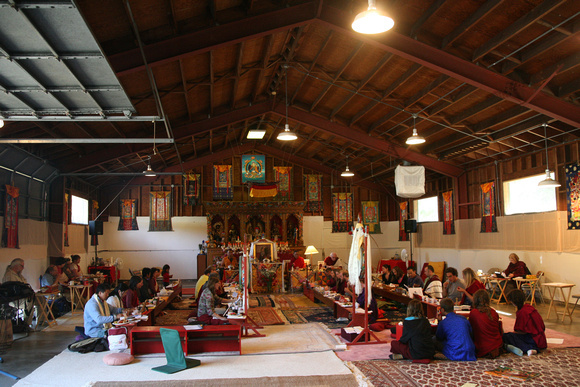 Jigme Rinpoche continues his series of Bay Area teaching with three talks on the Six Perfections.